Judo is an Olympic sport that is described as a form of Japanese wrestling with throws, pins, chokes, and arm-locks forming the core techniques. Judo is a fantastic way for an individual to stay in good shape, as well as a realistic and practical form of self-defense. Judo is also the second most commonly played sport in the world, and under Sensei Snider’s direction, the Champion Judo program has produced dozens of state, national, and international champions. Our Junior Judo Program is open to boys and girls ages 6-12. These classes are fun and fast paced, which keeps children interested and actively engaged with each lesson, drill, and activity. Our Junior Judo program helps students gain better self-esteem and self control, which results in a strong sense of confidence that can easily be seen both on the mat and in the world outside of the dojo. 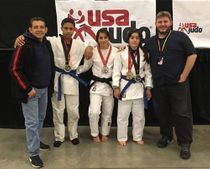 Our Senior Classes are available to teen and adult players who are serious competitors, as well as to students who are only interested in Judo as a recreational activity or martial art. Our Senior students come from all walks of life and range from white belts to black belts. 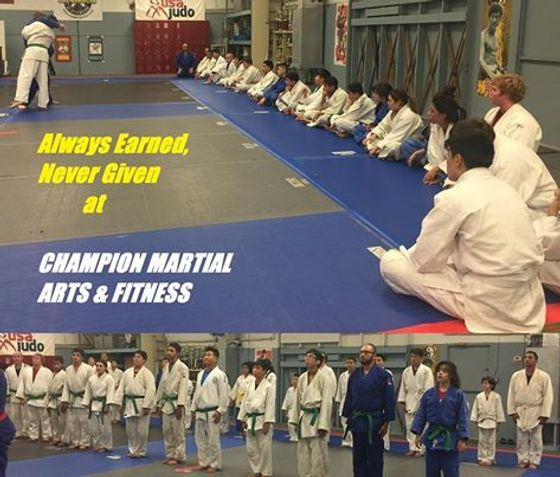 Whether you want to improve your competition game or simply looking for a good way to stay in shape while learning a practical form of self defense, our Champion Judo program is for you!